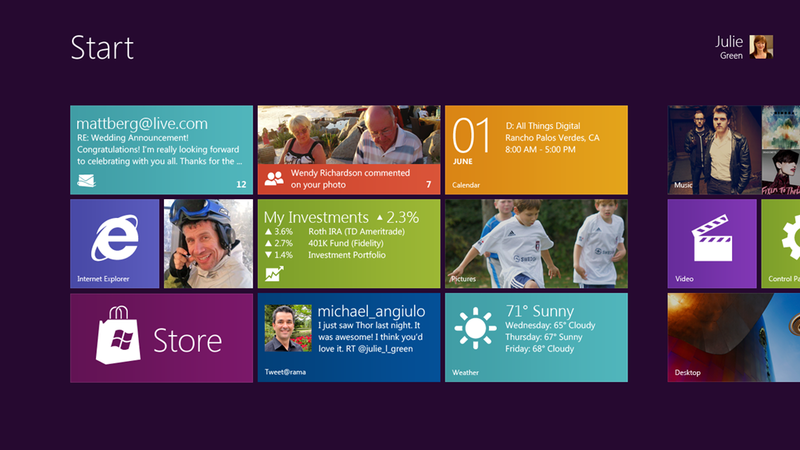 Windows 8 will be Great on a Slate but is it too Late? Microsoft has revealed some juicy info about the next version of Windows, codenamed Windows 8, at the AllThingsD conference. What we know so far is that the user interface is going all touchy-feely with big “live Tiles” instead of icons in the revamped Start Menu. The video shows Windows 8 working very much like current Windows Phones do with smooth transitions and intuitive navigation. I love how you can “snap” the new look apps alongside traditional software. I think it really puts Microsoft back in the game after Apple stormed the market with the whole iPhone/iMac/iPad ecosystem but is it too late? I don’t think so. This gives hardware manufacturers (OEMs) the usability of the popular Android tablet OS with the power, software and user base, of Windows. We should see some really special devices out in time for Christmas 2012! MoSH is just a layer. All your existing apps will still work as they do in Windows 7. The new welcome/lock screen has come a long way from the CTRL+ALT+DEL. Notice the notifications you get (see pic below)? These are very similar to what appears on the Windows Phone 7 lock screen. Is the first icon a webcam? Does that imply how many contacts are online now for video chat? Maybe it is hinting at some Skype integration? At first I thought that apps developed for Windows Phone 7 would scale up and run on Windows 8 but that doesn’t look possible due to the different programming languages. However that doesn’t mean a Windows 8 appx couldn’t run on a WP7 device. Are the new apps reliant on Internet Explorer 10 being installed? We only seem to just be free of embedding a browser into Windows, does this make a u-turn on that decision? Does this give you a Chromebook-style option of storing everything in the cloud? Will you be able to just run MoSH without real Windows behind it? Would you ever need to? How is any standard HTML5 web page not an app? Is there a distinct line between a web app running today in IE9 and an AppX in Windows 8? Will the Immersive UI be back-ported to Windows 7? I doubt it but maybe you can run Appx via IE10 for Windows 7? Will the next generation of XBOXs run Windows 8? 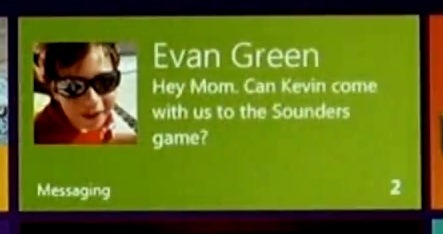 Would that mean you could play XBOX games on a Windows 8 PCs? Is Media Center now defunct? Can we get all the functionality from the new look UI? I imagine it is at least in for a shake-up, integrating Zune goodness. The background of the Start screen is a solid purple colour. Will this change with your usual Windows 8 theme? Can you have a photo? Even better, could you use a DreamScene style video like the demoed Weather app has? Paul Thurrott raises a point that Windows 8 hasn’t been shown in portrait mode yet. Is that something that people want? On one hand it seems odd that this would be restricted but on the other hand who would ever rotate their main Desktop or Laptop screen? Sure you could on a second monitor or a stylus-based tablet but not your main screen. It’s almost a reverse of the WP7 phones that are locked into Portrait for the Hubs and Start screen. What about the next version of Windows Server (2012?). Will it still share the same codebase as client versions of Windows. Will it allow us to control MoSH, including deployment of new apps? I still think that the HTML5 would be a new but not only way to develop a MoSh app. It just seems odd that WP7 would use Silverlight as the method for creating MoSh apps but if you wanted to port that app the the desktop, you would either have to embed a Silverlight app into a web page or rewrite it using HTML5. By the way, as a fellow WP7 user (Focus) what your thoughts on Mango. Totally agree with you regarding the Windows Explorer ribbon and the ‘Forward’ and ‘Back’ buttons. Regarding Mango, a Nokia handet or 3 really need to be present when, or very soon after the update is released in order to build sales, fill shelves and turn the momentum into dollars. It is all too “Consumer-ish”,….completely ignores the needs and desires of a traditional Corporate Desktop.